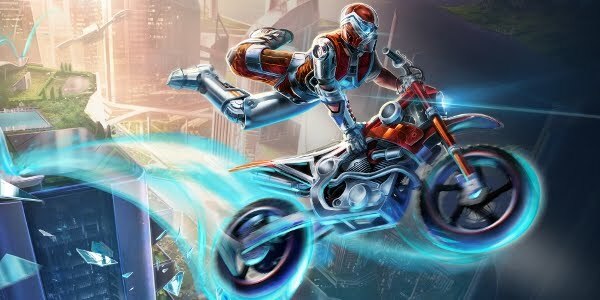 The game trials fusion is a futuristic bike racer game completed with a few of my favorite things (Racing, a good track editor and explosions). I have this game on the Xbox 1 and it is an amazing game to sit down and play with a group of friend. If you don't have any friends to play with then the single player mode is perfect for you. After spending a few hours grinding through the campaign you can finally use the bikes you unlocked to get to the best part of the game, THE TRACK EDITOR! This is clearly the best part of the game because it has seemingly endless possibilities. I've only played a few but other than races i have seen a [WIP] zombie shooter, a basketball mini game, a giant stunt jump and even more. I think that the game could be better if it had a multiplayer track editor but all in all I think its a great game.